Celebrate the Month of Mary with a Crown of Instruction and Love for the Blessed Virgin! The famous "Poet-priest of the South" Father Ryan takes us through the Holy Mother's life day-by-day in a devotional manual so detailed and beautiful it may become an annual tradition in your home. 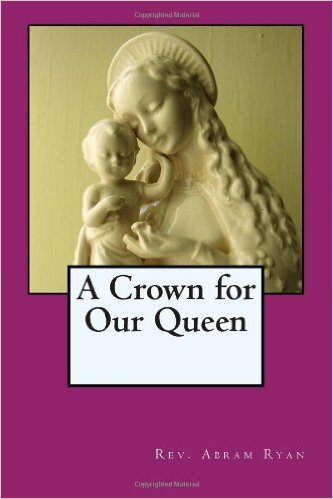 Filled with stories of her Son and of her life, "A Crown for Our Queen" may be the peaceful tonic your soul is seeking ... in Jesus through Mary.